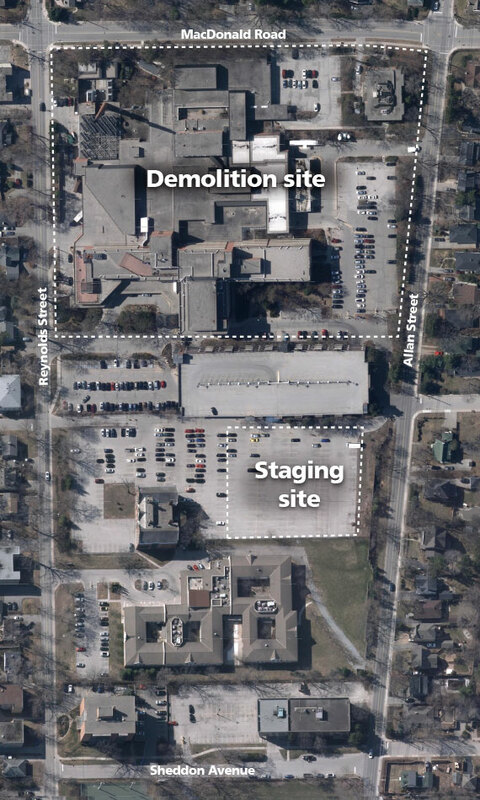 Review the former hospital demolition site map (pdf). Review the approved former hospital site master plan map - June 2017 (pdf). 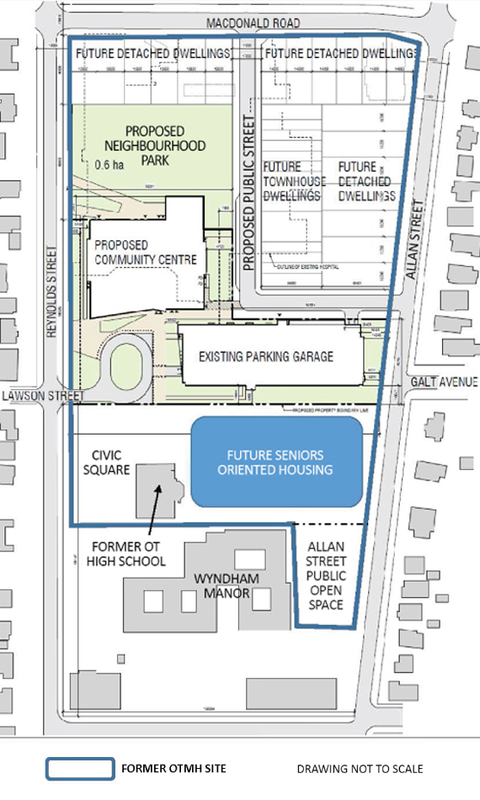 Review the approved former hospital site master plan map - May 2018 (pdf), which includes future seniors oriented housing. Questions and concerns may be directed to formerhospitalsite@oakville.ca and responses will be posted on this site for all residents.